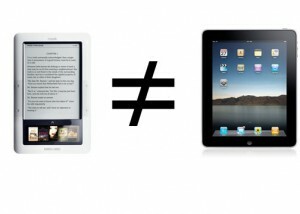 As far as reading ebooks, it does what is expected. You can adjust the font, font size and contrast so text is easier to see. 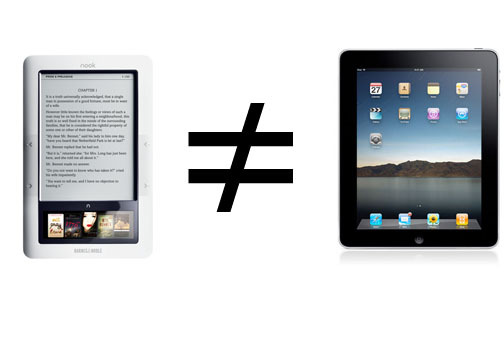 Reading PDFs are as easy as connecting the nook to you PC via USB and copying the PDF to the mydocuments folder on the Nook’s internal memory storage. While you have your Nook connected, you can add some family photos to the mybackgrounds folder to see a grayscale version of your photo as a screen saver. You could also add some MP3 to listen to while you read, but at mono sound and with all the other mp3 players available, why bother. Since the Nook only uses battery to change the text on the screen and to power to tiny LCD screen, the battery life is long as expected (days between charges). However, I noticed that if you have an extending reading session, like my wife sometimes does, you will have to charge it sooner than expected. One issue I had was the Nook would not charge when using the AC adapter, but it did charge using the USB directly to the PC. I called B&N support and after talking to an English speaking person, they shipped me a new AC adapter at no charge and with no hassle.